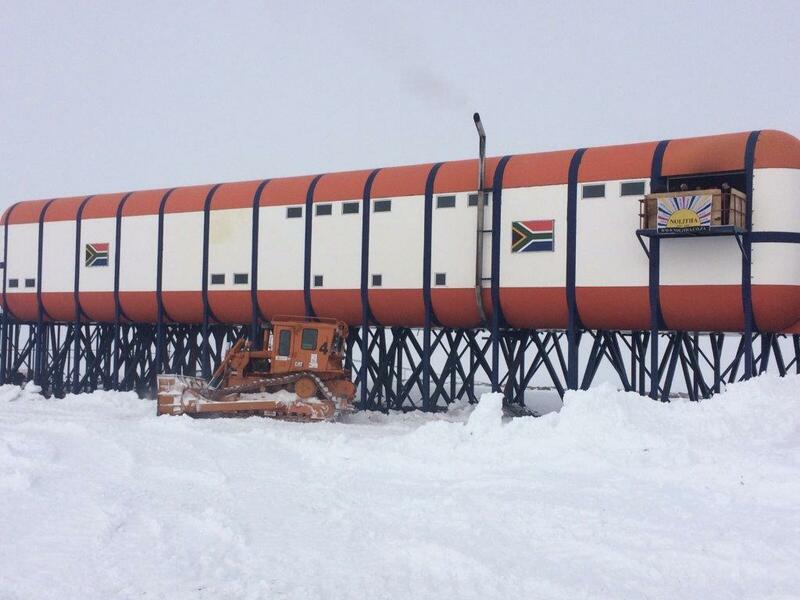 South Africa was one of the original signatory countries to sign the Antarctic Treaty. 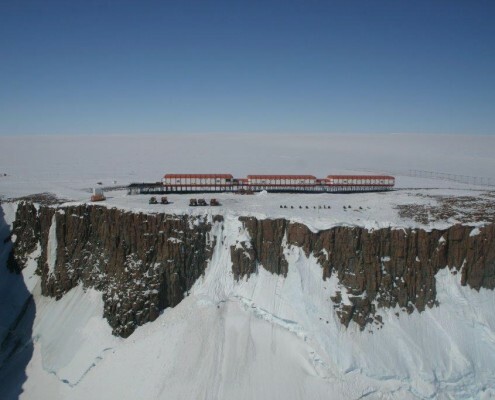 The Antarctic Treaty and related agreements, collectively known as the Antarctic Treaty System (ATS) regulate international relations with respect to Antarctica, earth’s only continent without a native human population. 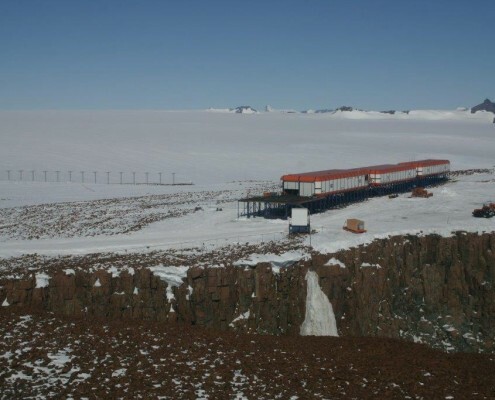 The treaty sets aside Antarctica as a scientific preserve and establishes freedom of scientific investigations. 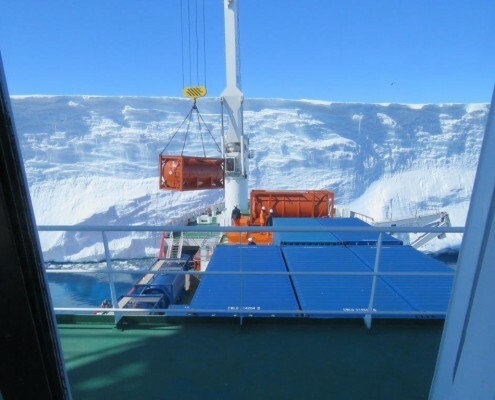 Antarctica – a brief summary: Antarctica is about 4 800 km from Cape Town and travelling time, weather permitting, is between 12 – 15 days. 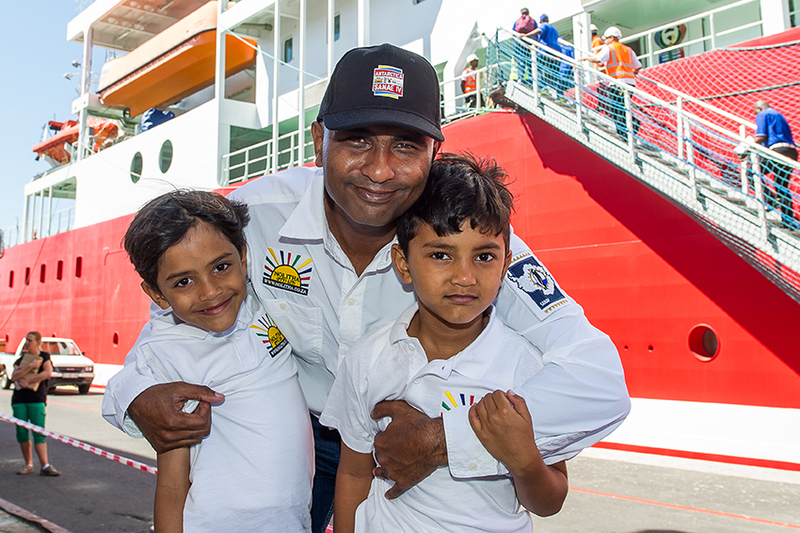 On the way to Antarctica, the “Roaring Fourties” is crossed which is regarded as the roughest seas on the planet. 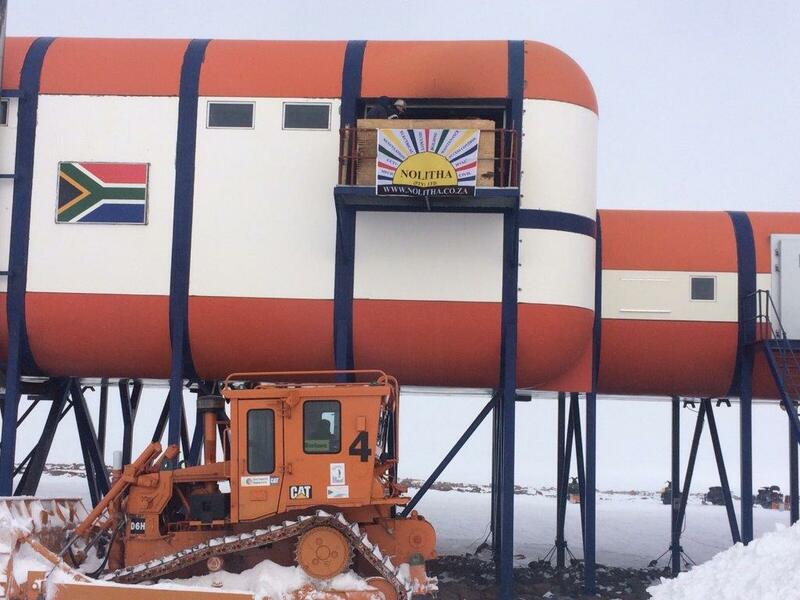 South Africa was one of the original signatory countries to sign the Antarctic Treaty. 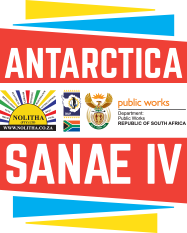 The Antarctic Treaty and related agreements, collectively known as the Antarctic Treaty System (ATS) regulate international relations with respect to Antarctica, earth’s only continent without a native human population. 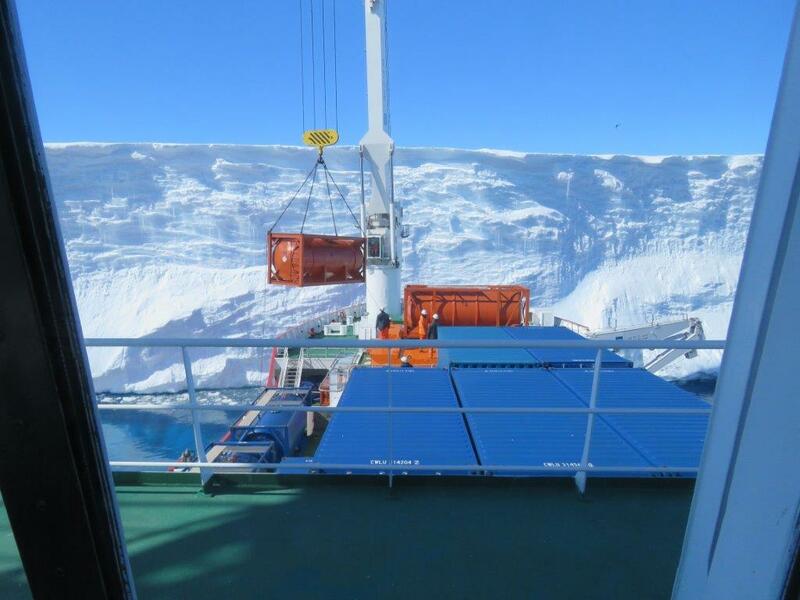 The treaty sets aside Antarctica as a scientific preserve and establishes freedom of scientific investigations. 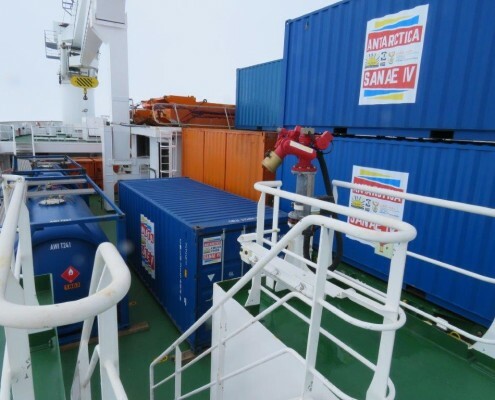 Nolitha (Pty) Ltd was awarded the contract for the refurbishment of the Antarctica Sanae IV Base and has sent staff on the SA Agulhas II as part of the team travelling to the Antarctica research station. 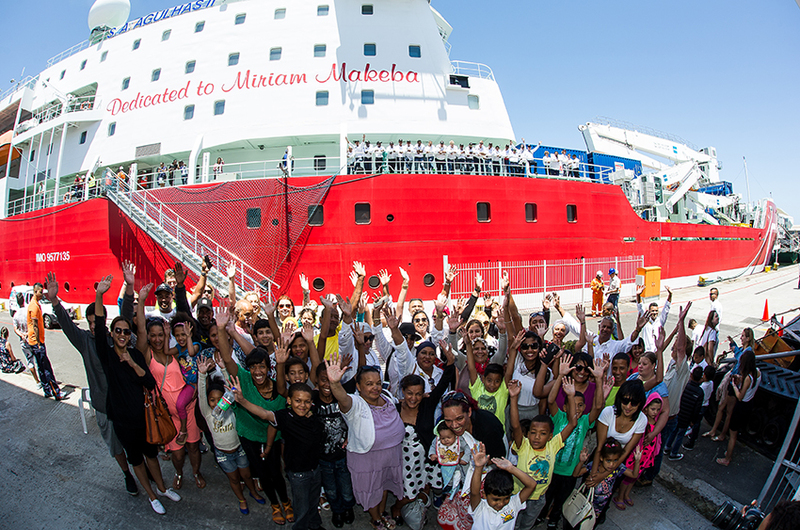 The newly built research ship, dedicated to the memory of Mama Africa Miriam Makeba, sailed for the Southern continent on 3 December 2015. 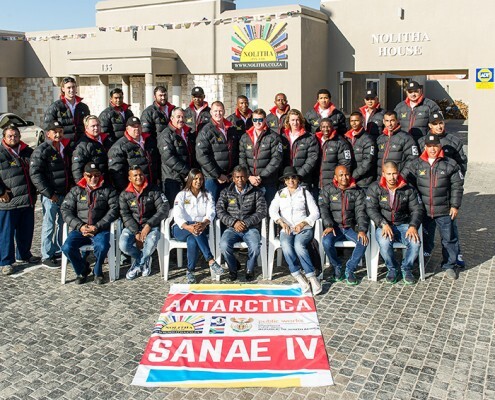 As part of maintaining infrastructure built by the Department on the Antarctic base, every December, the Department takes part in the South African National Antarctic Expedition (SANAE) as part of a group of scientists who go to the Southern ocean islands. 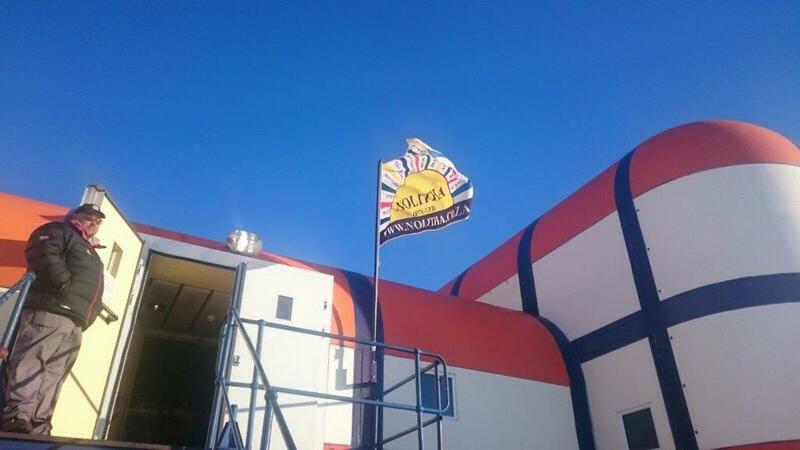 The SANAE IV consists of physical scientists, earth scientists , oceanographers, life scientists and support staff. Some of the work that will be undertaken during this season is the installation of a safety net on the cliff edge, underfloor heating and moving of inner walls in preparation of refurbishment work scheduled for the next season’s trip as well as some external paintwork and general maintenance work. The various kinds of research and its importance on the international platform done at the base were discussed. 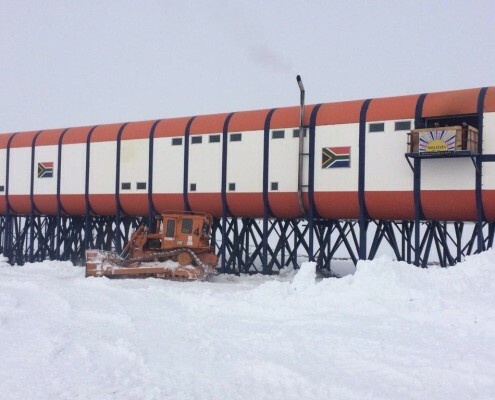 Nolitha (Pty) Ltd is also constructing, maintaining and refurbishing infrastructure for the team who solely depend on the facilities during the long, dark and very cold winters experienced at the base as well as the long, light and still very cold summers. 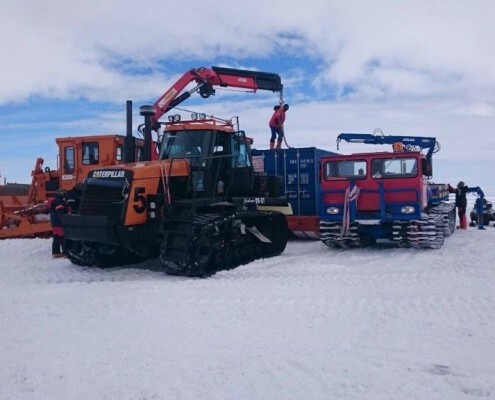 The maintenance includes repairs and renovations of various including sanitation facilities, painting, and plumbing, maintaining electrical and upgrading technical engineering systems. 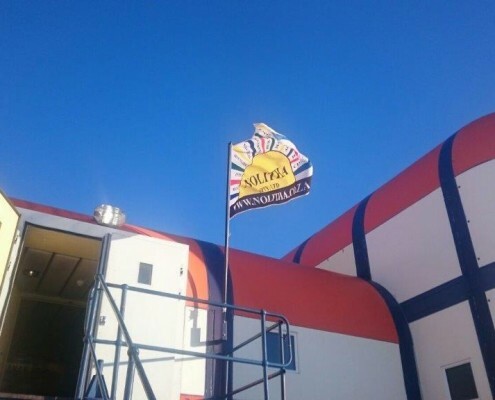 The SANAE IV base is divided into four components: Physical sciences, life sciences, earth sciences and oceanographic sciences. 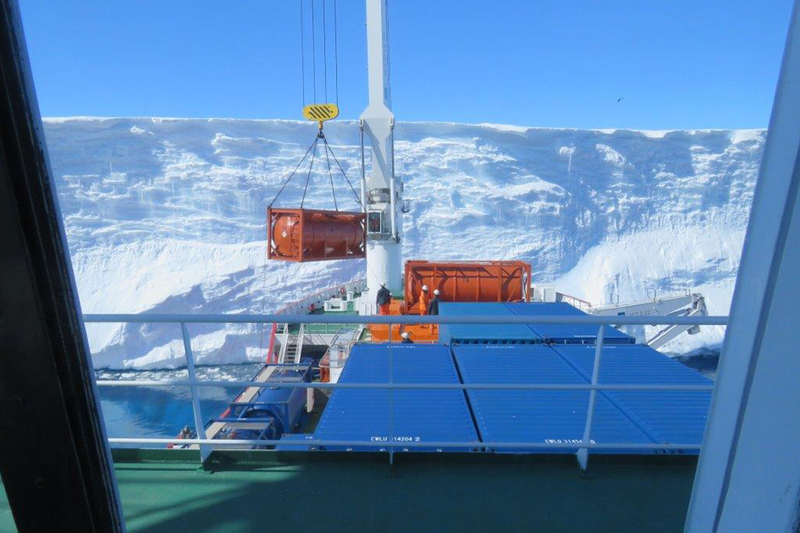 The new base is located at Veslekarvet, 220 Km due south of SANAE III. 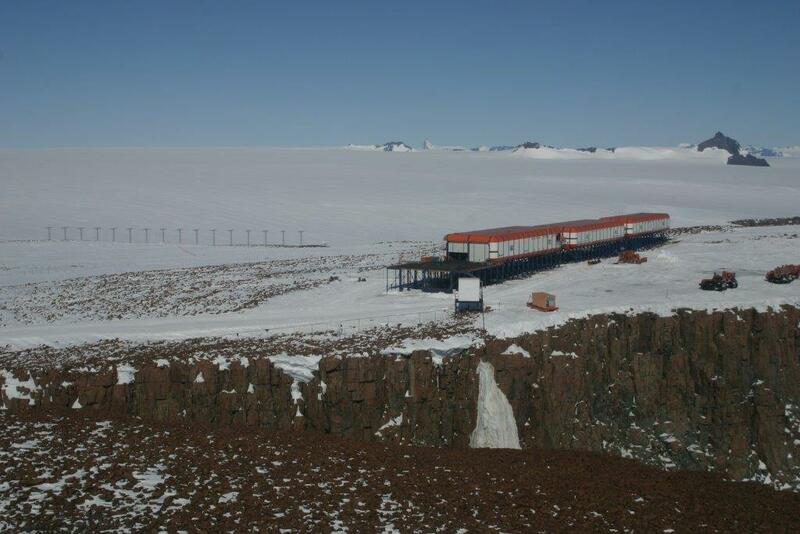 Veslekarvet is a nunatak that is a rocky outcrop peeping out of a snowy surface. In sharp contrast to the white surroundings, its colour is normally black or dark brown. In some cases it is able to support some sort of life such as mosses, algae, a few insects and birds. 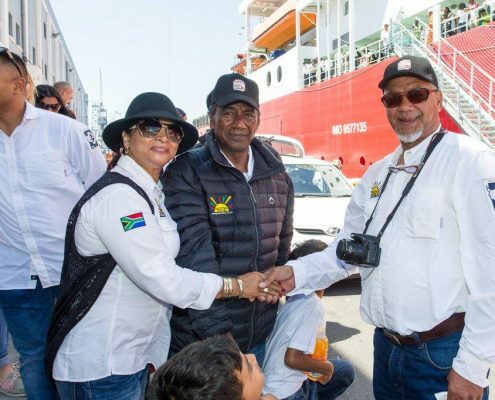 Coincidentally, the departure of the Expedition Team of the SA Agulhas II happened during the Climate Change Summit that was being held at the COP 21 in Paris. Appropriately, our scientists would help the cause of climate change and contribute a great deal of research. 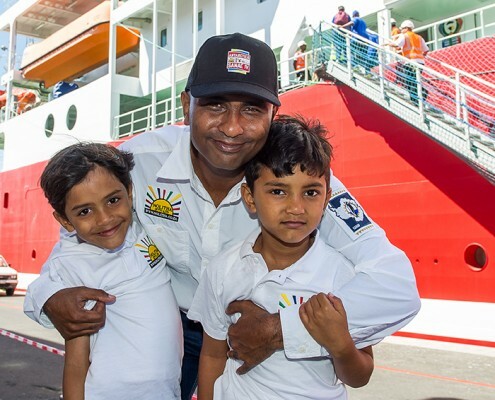 Because the new SANAE IV is built on a hillside, the Nolitha (Pty) Ltd’s critical task was building a safety net to ensure the safety of the crew members. 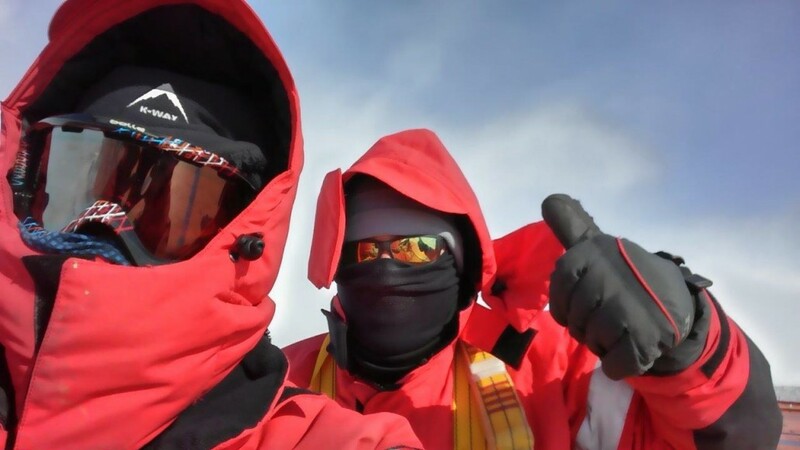 Although the sun shines for 24 hours, severe blizzards, high wind speeds and occasional whiteouts will also be experienced by the team. As the time available to perform all the required tasks is limited, the DPW representatives will work very long hours (most days between 12 – 15 hours per day). 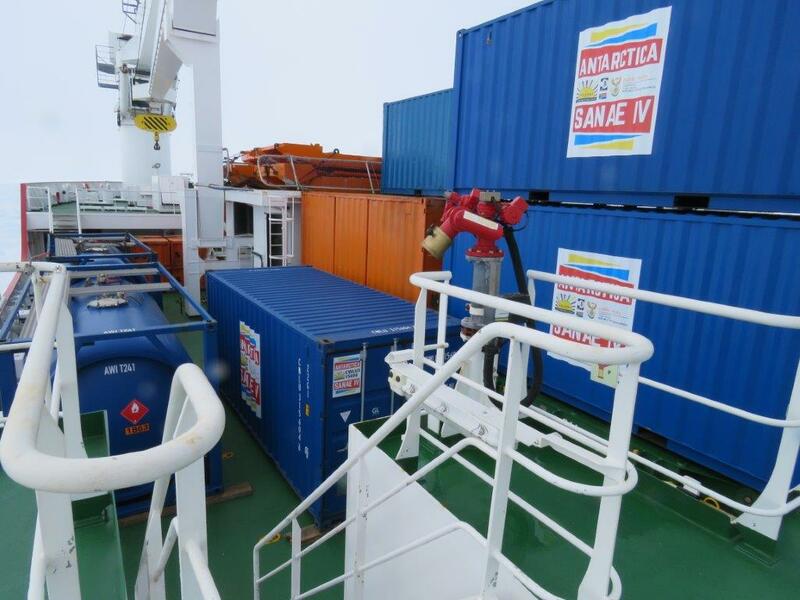 Before departing to Antarctica, all the material required during this season had to be procured, packed, weighed, custom-cleared and transported to the ship by both the contractor and the Department prior to it been loaded on board the ship. 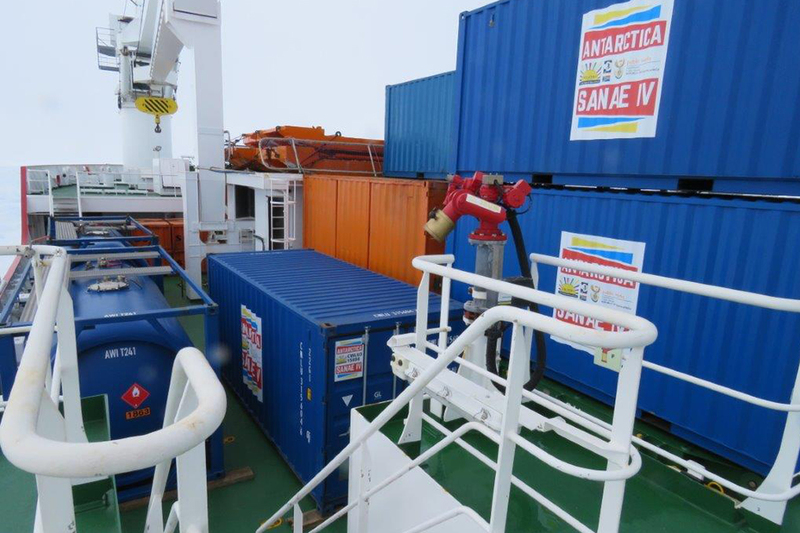 Once the SA Agulhas II reaches the Antarctic ice shelf, that is if she can break through the bay ice, the cargo is either off-loaded at the Penguin (RSA) Bukta or the Akta (German) Bukta, which are 180 and 300 km from SANAE IV respectively. 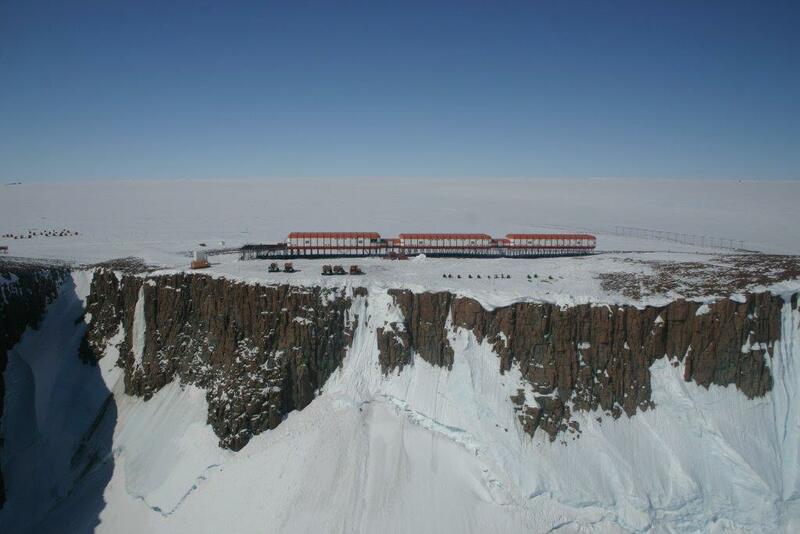 SANAE IV Base in Antarctica. 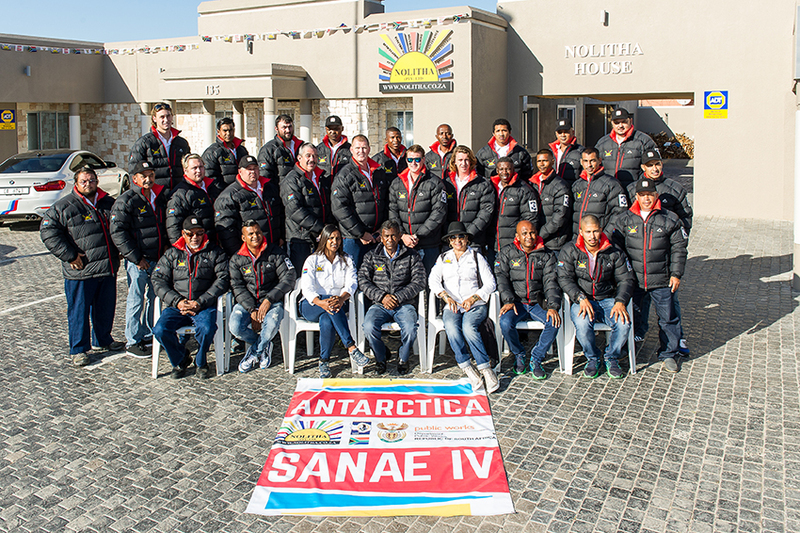 On 3 December 2015, the Department was the host to a send-off function for the people departing to SANAE IV, the South African research base on Antarctica. 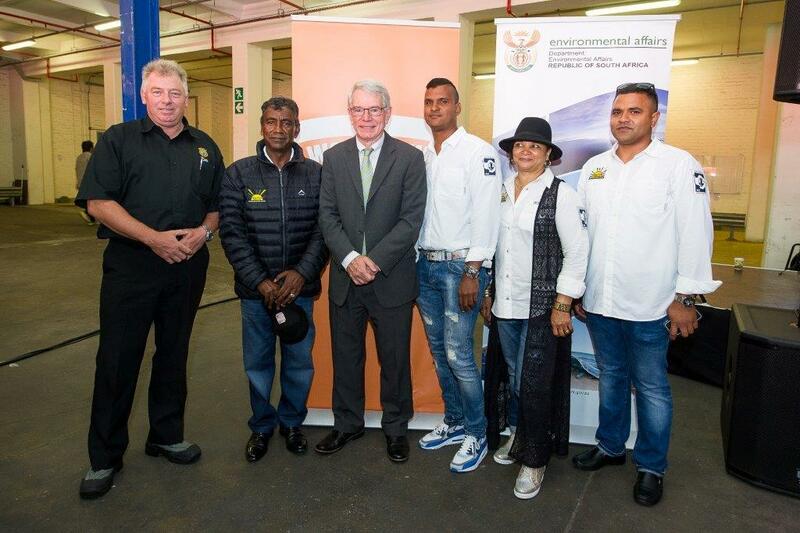 The function was attended by the Deputy Minister, Mr. Jeremy Cronin, Mr. Paul Serote, the Head of the PMTE and a number of EXCO members, Mr. Fred Johnson, the Regional Manager from Cape Town Regional Office and some officials from the Regional Office as well as representatives from the Departments of Environmental Affairs, Science and Technology, the expedition team members as well as family members of the expedition team. The formal event started after singing the National Anthem where after Dr. Jonas Mpephiya from the Department of Environmental Affairs delivered his address. 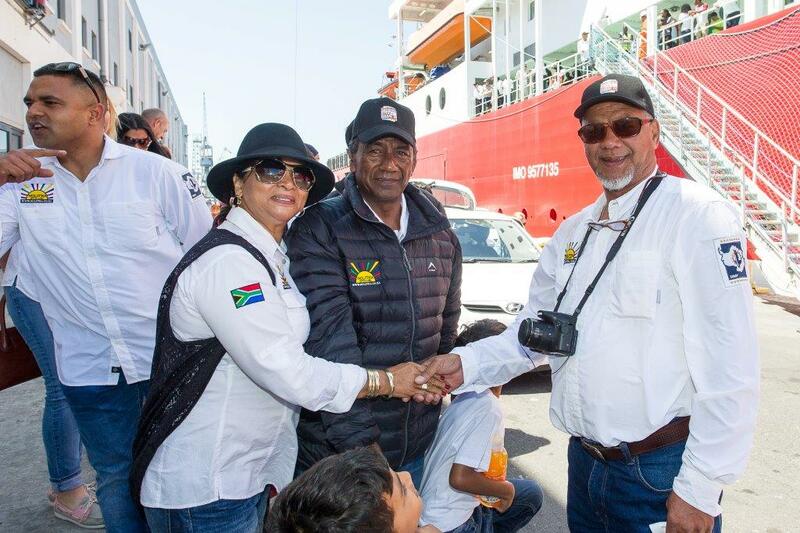 In his address he informed the attendees that South Africa has a presence on Antarctica since 1960 and as such the 55th expedition is undertaken this year. 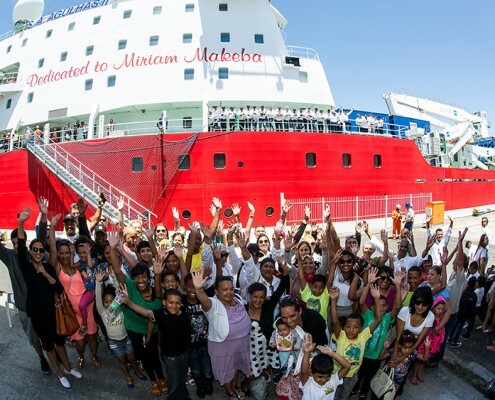 The various kinds of research been done at the base was elaborated on as well as the importance of the research on the international platform. 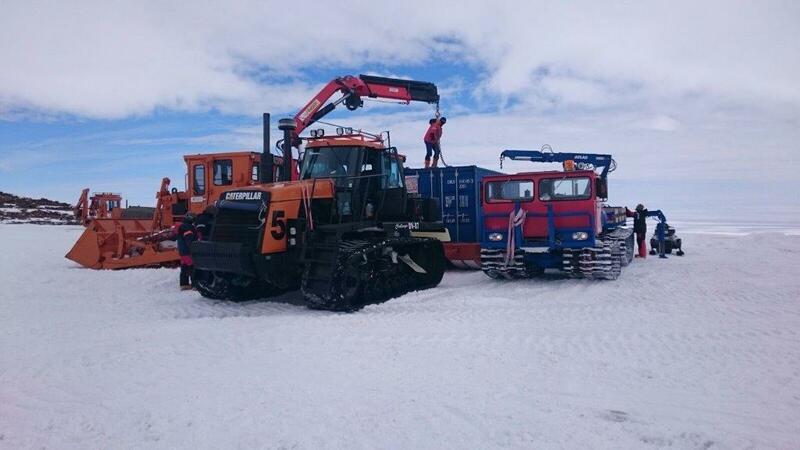 The role of Public Works in constructing, maintaining and refurbishing infrastructure for the overwintering team was acknowledged as these members are solely dependent on the facilities provided by Public Works during the long, dark and very cold winters experienced at the base as well as the long, light and still very cold summers. 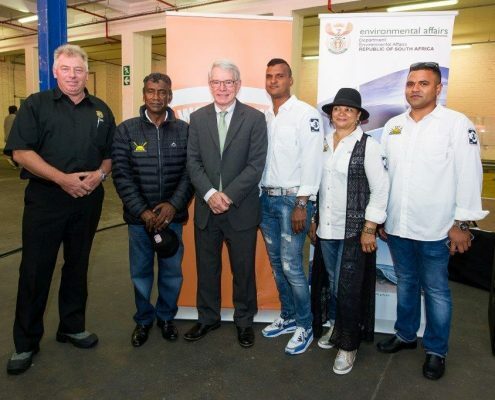 The main speaker of the event was Mr. Jeremy Cronin, the Deputy Minister of Public Works. 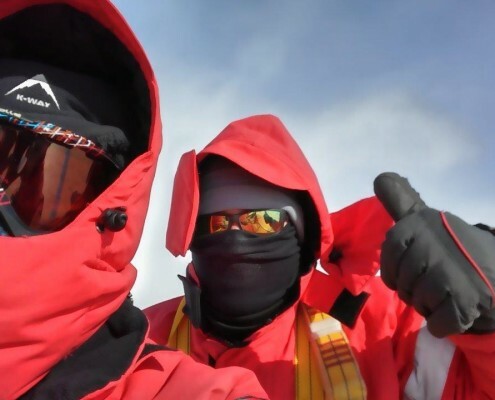 He extended his appreciation to the overwintering expedition team members and the research that is conducted at the base. 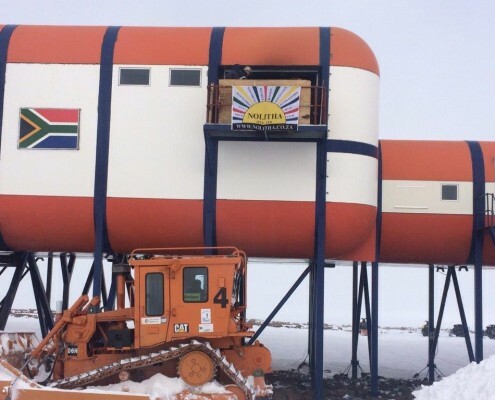 Mr. Cronin indicated that the important role that Public Works plays with the provision of accommodation on Antarctica should be acknowledged along with the Departmental officials going there on an annual basis to conduct maintenance work and commencing this year also with refurbishment. Some of the work that will be undertaken during this season is the installation of a safety net on the cliff edge, underfloor heating and moving of inner walls in preparation of refurbishment work scheduled for the next season’s trip as well as some external paintwork and general maintenance work. 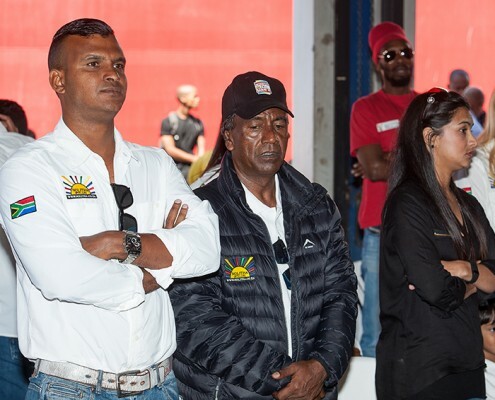 Mr. Cronin also extended his thanks to the Departmental team and representatives from Nolitha (Pty) Ltd that will work very long hours to ensure that all the required work planned for this season is executed. 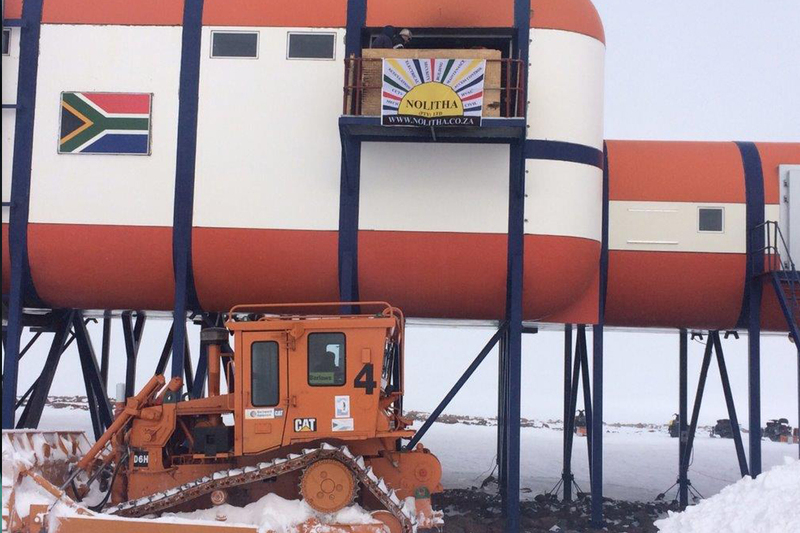 For the first time in the history, a contractor was appointed to conduct work at Antarctica. 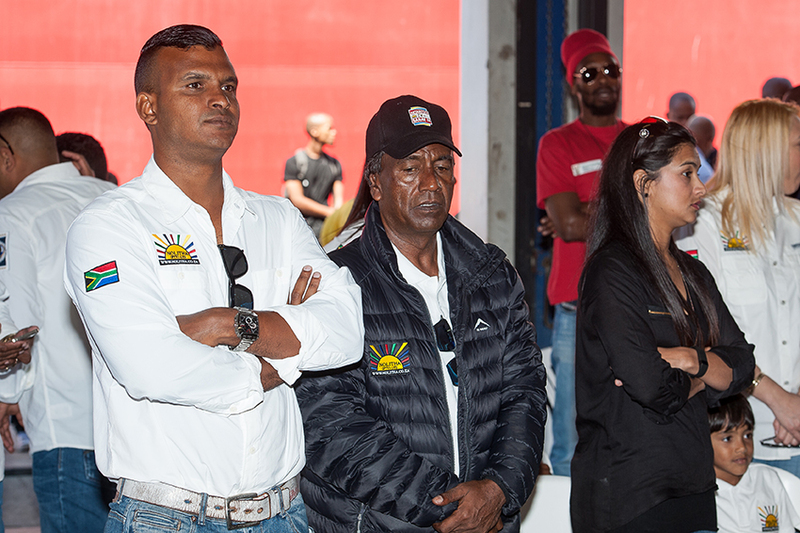 Mr. Cronin however indicated that the Department is committed to ensure that this will not be the trend going forward, but that it is a priority for the Department to capacitate the workshops with skilled people that can conduct all the work that has to be done at the base, whether it is maintenance, refurbishment or construction. 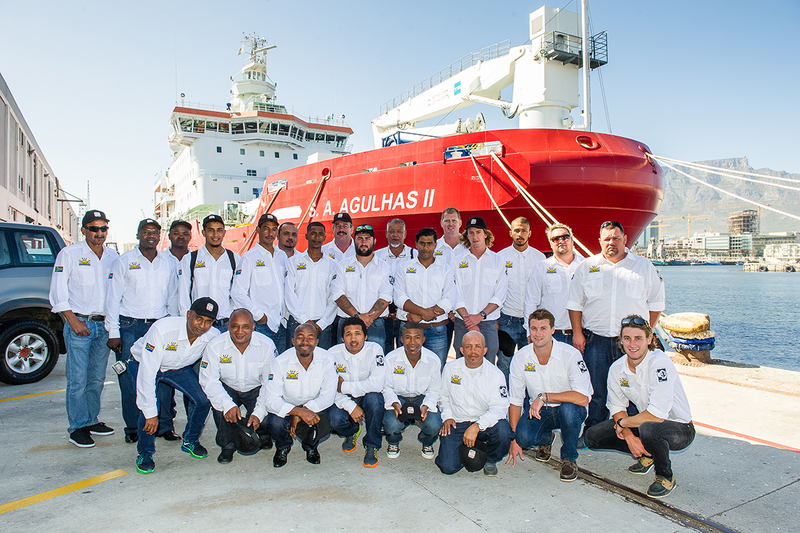 Mr. Cronin and some of the EXCO members were taken on a tour of the SA Agulhas II prior to the boarding of the expedition members.